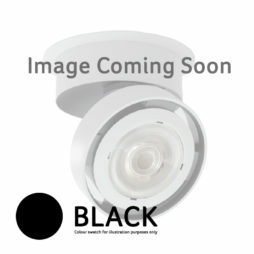 Soraa’s Simply Perfect™ Light, powered by its brilliant LED technology, shifts the landscape completely. Soraa was founded in 2008 in Goleta, California, by a team of pioneering professors from the worlds of engineering and semiconductors, including the venerable Dr. Shuji Nakamura, inventor of the blue laser and LED. Soraa are pioneers and leaders in the design and manufacture of lamps using LEDs built from pure gallium nitride substrates (GaN on GaN™). All LEDs worldwide were made of GaN crystals grown onto a dissimilar substrate: usually sapphire or silicon carbide. GaN on GaN™ LEDs produce more light per area of LED and are more cost-effective than technology based on other “non-native” substrates. 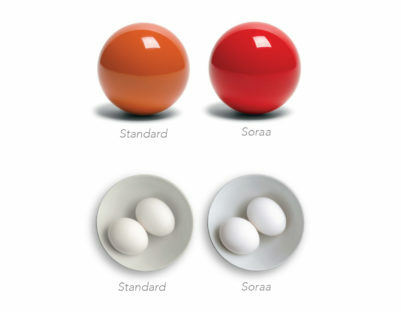 Soraa bulbs are perfect for the retail industry or places such as art galleries, museums and the hospitality industry. For spotlighting over products, Soraa’s 95 CRI GaN on GaN technology shows a true representation of colours with crisp shadows and exquisite detail. Soraa’s directional lighting products provide a wide range of benefits for museum and gallery applications. Soraa’s full visible spectrum light delivers unprecedented colour rendering that surpasses even halogen sources. Another advantage is Soraa LED lamps run cooler and have no IR or UV radiation, reducing heat and emissions that can compromise sensitive materials. GaN on GaN technology makes ordinary lighting extraordinarily brilliant and efficient. Soraa’s full spectrum GaN on GaN LED lamps have superior colour rendering and beam characteristics – smaller, brighter, more beautiful and efficient than any previous lighting technology. Have crystals that are up to a thousand times more precise than any other LED crystal. Since its 2012 launch, the Soraa LED lamp has become synonymous with exceptional light quality and innovative design. All Soraa lamps feature 3-phosphor LEDs with violet pump that enable benefits such as Point Source Optics for beautiful, uniform beams of high intensity, Violet 3-Phosphor (VP³) Natural White and VP³ Full-spectrum Vivid Colour, which reveal the magic of whiteness and colours in every environment. Soraa’s award winning SNAP System™ provides a lamp-accessory solution that delivers endless design and display possibilities and ANSI/IEC conforming form factors for worry-free fit and reliable operation in both enclosed and open fixtures. The revolutionary SNAP System is the world’s first lamp/accessory that is optimised to work as an integrated system. 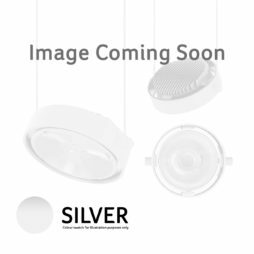 The effects are similar to what can be achieved with halogen sources but with a low operating temperature and groundbreaking optical design and materials. The SNAP System’s magnetic interconnect system makes using accessories completely user friendly across a much wider range of fixtures. Accessories are an important tool for lighting designers, allowing them to fine tune scenes and atmosphere by creating dedicated light distribution and colours. Soraa’s beam spreaders allow you to achieve multiple distributions with single lamp specification, apply beams that were never before possible, and fine tune installations for unique conditions and requirements. The SNAP system has several beam shaping attachments, including beam spreaders, linear lenses, and “flat-tops” that provide rectangular beam distribution patterns to perfectly illuminate furniture, art, and other rectangular objects. 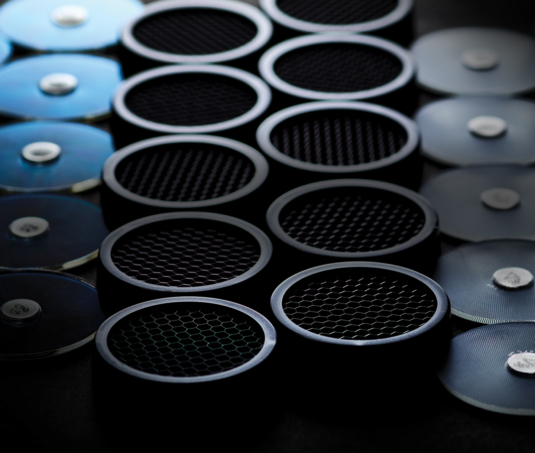 The SNAP system’s CCT shifter filters can provide rare or impossible colour temperatures, like a warm, glowing natural 2200K CCT, while providing excellent flexibility and freedom to adapt many colour temperatures to any installation while specifying only one lamp. The Soraa lamp’s clean light and excellent colour rendering are a perfect match for CCT shifting. Why is Soraa’s SNAP System so revolutionary? In the past century, a parade of energy-efficient lighting technologies have held out the promise of earth-friendly light. But in this rush to energy-efficiency, we’ve forgotten something very basic: colour is as ancient and as important as light. Standard LEDs emit blue light which makes the effect less accurate. In contrast, the GaN on GaN technology enables Soraa LEDs to emit violet light and so render every colour of the visible spectrum accurately and vibrantly, creating a light source most comparable to natural sunlight. Soraa LEDs emit violet light at a peak frequency between 410 and 420nm and have a multi-phosphor mix that progressively reduces the frequency of the light so that it covers the entire range down to 700nm, or deep red. This creates a full visible spectrum, continuous and unbroken from violet (400nm) to red (700nm). Many lighting technologies, including blue-based LEDs, have reduced quality of light to the starkness of colour temperature. At the most basic level, colour rendering of a light source is defined by CRI, which uses a defined set of eight pastel colours and measures how true-to-natural they appear when illuminated by the source. A useful extension of CRI is to include deep colours, particularly a ninth colour, red, whose rendering is defined by the metric R9. Soraa lamps and luminaires are unrivalled in their high ratings of 95 for both measurements. Perception of whiteness is strongly influenced by the presence of fluorescent whitening agents in both natural objects (like teeth), and manufactured objects (like clothing and paints). These whitening agents are excited by the violet content in visible light and we live in a world with infinite shades of whiteness, determined by the level of fluorescence in each object. Increasing adoption of blue-based LEDs now threatens this nuanced world, with their complete lack of violet content. Peer-reviewed academic research shows that blue-based LED bulbs deliver yellowish and dull light. The same research show that with Soraa’s violet-based LEDs, whiteness choices are as clear as the day. Soraa’s very efficient GaN on GaN LEDs have enabled us to make some unique choices. We have used the leeway this efficiency gives us not only to provide more lumens per electrical watt, but also to tune our LED to emit light in the violet range of wavelengths, 400nm to 440nm. Unlike blue LEDs, whose emissions start at 430nm, Soraa’s spectral emission begins at 400nm, providing all the fluorescent excitation needed to discriminate clearly between shades of white. However, unlike more traditional sources of light, Soraa’s products emit no harmful ultra-violet. This technology is violet-emission 3-phospor, and the whiteness rendering it creates is VP Natural White. Directional lighting has stringent requirements that LED lighting manufacturers must meet: well-controlled beam angles from 9 degrees to 60 degrees, tight form factors often based on halogen predecessors, uniform colour across the beam, and sharp single shadows like that delivered by halogen and incandescent lamps. 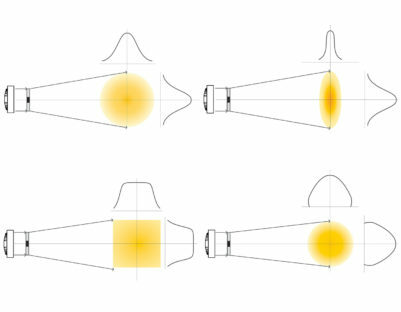 Most LED light sources have a large size which is a big challenge as the laws of optics tell us that large sources in small form result in wide beam angles. Also, you will see any colour variations across the LED light source in the beam. And multiple-source-arrays of LEDs used to create sufficient lumen output cast multiple shadows, obscuring detail in colours and textures. The Soraa Point Source Optics solution combines the superior quality of integrated LED with superb optical engineering and extensive know-how to deliver simply perfect beams precisely where you want them. Soraa’s unique folded optics with precision-cut prismatic lenses enables beam focus in a very compact optical design. 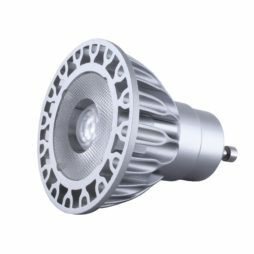 The single source LEDs cast one sharp shadow with matchless contrast and depth and Point Source Optics allow perfect centre to edge light distribution with great colour consistency. Soraa creates very narrow beams in form factors as challenging as the compact MR16 and the low-profile AR111.